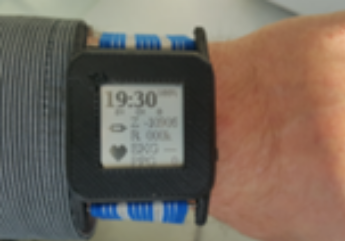 The wrist worn device is intended to be used for unobtrusive and continuous (24/7) monitoring of heart arrhythmia, e.g., paroxysmal atrial fibrillation, premature ventricular beats. It uses biooptical signal photoplethysmogram and signal processing algorithms for real-time atrial fibrillation arrhythmia monitoring, e.g., during hemodialysis procedure or long-term, offline monitoring, e.g., in rehabilitation settings or at user home. An additional feature of the device – capability to record electrocardiogram as a reference channel. This channel can be detached in unobtrusive usage scenario. 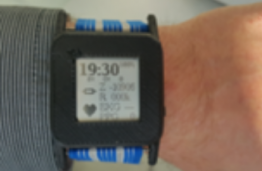 There is no biooptical signal based wrist worn device for heart arrhythmia monitoring currently on the market. Research Council of Lithuania supported project „AFAMI“ (No. MIP088/15).